A television advert promoting payday loans has been banned by the Advertising Standards Agency for being irresponsible. 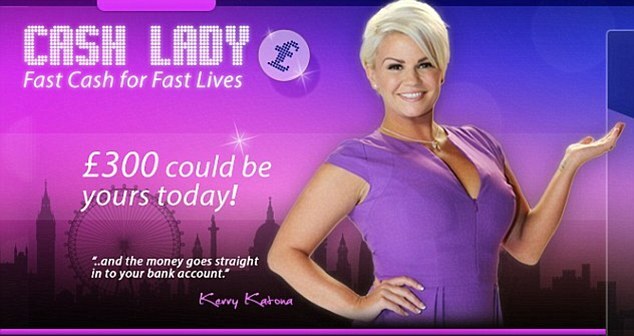 The advert features Kerry Katona, a former pop star who was made bankrupt. 29 People complained about the advert and the ASA upheld the complaints stating that it focused on Katona’s money troubles and encouraged people in similarly poor financial situations to borrow money when this probably isn’t the best approach. The ASA also said that the ad didn’t highlight that the loans were for a short period until payday and that the APR figure wasn’t prominent. Payday loans are meant to cater for short term cash emergencies, not to delay the onset of larger financial issues. This is just another chapter in an almost endless story of bad press against payday loans; Giving MP’s a bigger axe to grind against them.